We offer competitive skydive prices for skydivers of all tiers! First timers, beginners and experienced jumpers are welcome! 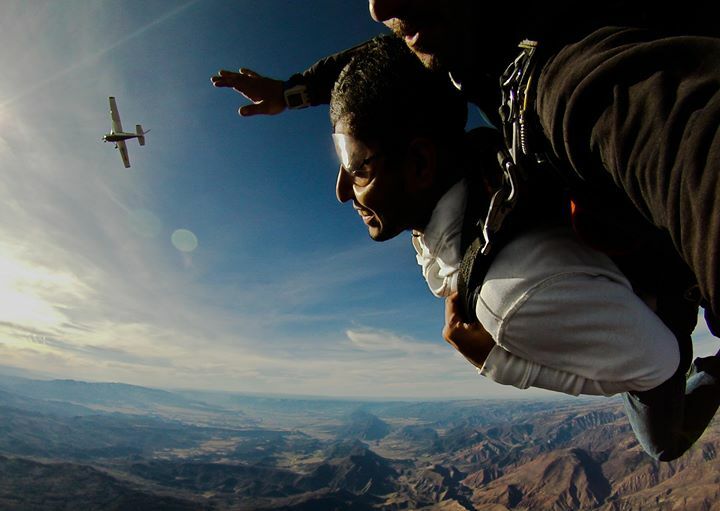 Tandem skydiving is one of the safest ways to experience the thrill of flight! You and your instructor climb high above the earth while the anticipation builds! Before making your leap the tandem instructor will ensure you are securely attached together and brief you about the jump you are about to experience. “Ready! Set! Arch!” and out the door you go! Reaching speeds of up to 120 mph this is an experience you will never forget! **All prices reflect cash payments. scenic views you will find in Colorado! We have a full-service Rigging loft and can do most repairs to your skydive equipment to keep you in the air. Just a reminder, at Roaring Fork Skydivers we enforce “BEER” rules! Blue Skies! Rigging services: $Please call for pricing and details. We now offer solo skydive training! Please contact us at (970) 364-3737 to find out more information about plans and pricing. Call to find out more about daily specials (970) 364-3737!